Go to Components > EasySocial > Applications and click Install. Select the app_NSrecipes.zip file and install. Application can be defined by default (available for all users) or installable on user request. NS Recipes App for EasySocial relies on NS Recipes Component Settings. 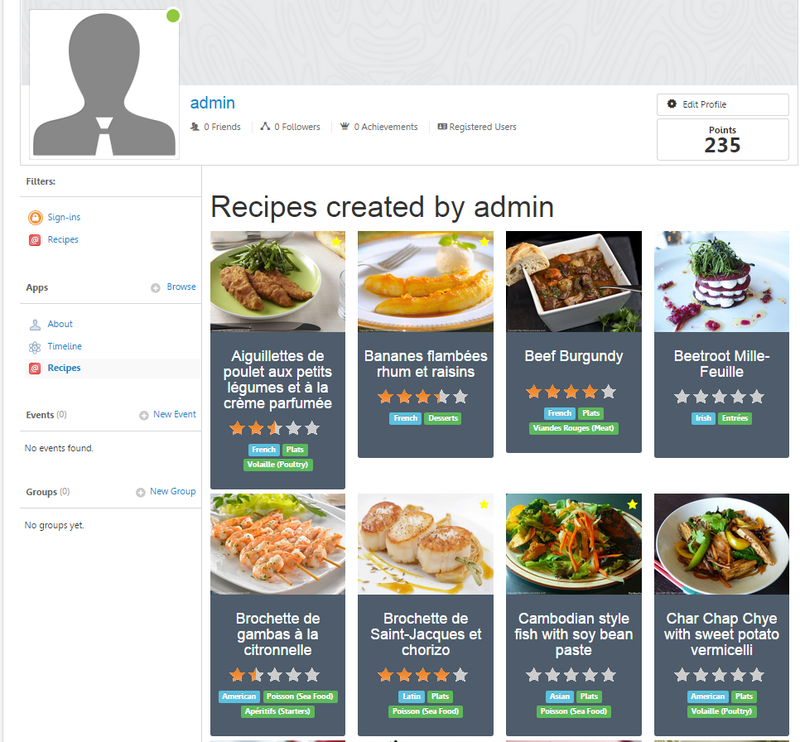 In other words, if you change recipe layouts in Components, they will also be changed in the EasySocial Profile App.